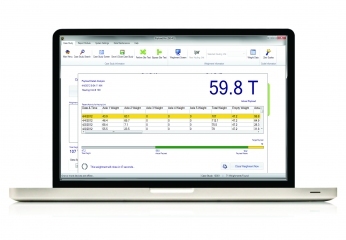 The Payload Pro Software Suite by Walz Scale is the ideal payload management system for companies and individuals who want to have complete control over productivity and payload data. It allows users to process weighments accurately and quickly. The software suite helps users capture and store data of each weightment which gives them instant access to a wealth of real time data. The software suite also gives users complete control over the system components by allowing them to run diagnostic test. These diagnostic tests will help in ascertaining whether all system components are running properly. The reporting module of the software suite allows user to design their reports and distribute them in a manner that fits their requirement. The module also allows users to manipulate the payload data to suit their requirements. The report generated using the module can be distributed in the organization using the cloud sync system. A key feature of this software suite is does not require any specialized software to process data. It can run on a normal personal computer or laptop that uses windows operating system. Some payload management systems require special software which can increase your expenses. The Payload Pro Software Suite has been designed keeping in mind the needs of global business environment. The cloud sync technology allows the user to access their payload data from any part of the world. Automatic backup feature of the software not only ensures the safety of your data but also saves you from the trouble of selecting the data you want to backup. Selecting the data you may need for daily or emergency use, can be a tiring process. Since Payload Pro Software has been developed in-house, it is easy to customize the software to meet your specification. It gives you greater control over the software which helps in fulfilling the specific needs of your business. Also, it gives users access to knowledgeable support who understand your situation. Users can control the portable payload system using handheld devices. This is an ideal option for those requiring real time data in their vehicle. Some of the areas where the software suite can be used include agriculture, pipeline, construction, asphalt, oil and natural gas, road construction, mining, forestry, landscaping, sanitation, paving, and transportation. If some of the features that you need are not available, you can get custom programming done to include these features. You can also request to Walz to design programs that can create customized reports. Some of the other options that can be included in the software are wireless data capabilities, long-term cloud storage of data, and printer interface. All Rights Reserved | Blog Created By | Need Help with Ecommerce SEO?